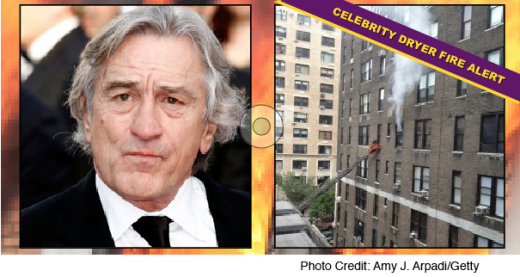 Before you spend money, we think you should also know: Can a chimney really catch fire? When you use your chimney, you are burning a fire inside of your house. 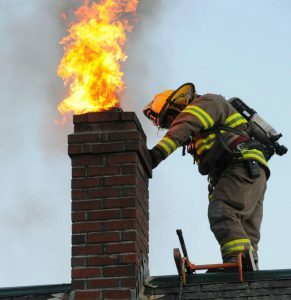 So, your chimney needs to be in safe working conditions to prevent fire dangers. Why does a chimney catch fire? When you burn wood in the fire-place it creates deposits of soot and creosote inside the chimney flue. Over time this flammable build up will eventually ignite and cause a chimney fire. Chimney Sweeping MarylandWhat happens when a chimney catches fire? From the time you call, Airwiz takes care of with our signature old fashion, personal customer service style. 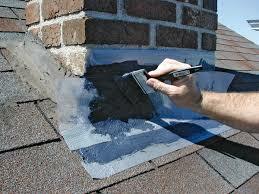 • You will get a thorough removal of soot, creosote, and debris to ensure no fire can ignite. • NO MESS, NO MESS. It’s like we were never there! We invest in the most powerful chimney cleaning equipment, we cover your floor and we spend time making sure we can do a good job while keeping your house clean at the same time. • Honesty! Inspections without upselling: very important! We specialize in cleaning and inspection, not in up selling repairs! • We are hardworking professionals by day and by night and weekends we are proud home owners raising beautiful families just like you. • We pay our employees so well that most of them have stayed more than 10 years in our family of chimney sweep professionals. • What does it mean to you? To you it means that you will get a happy to go to work, courteous and experienced true professional who understand what your needs are and respects your house. Just like it was back in the 60s and 70s. * And don’t forget, our techs are not paid commission to sell you any chimney repairs like it is common practice. We are cleaning people not sales people. Do you have a dryer vent problem? The list will help will understand your dryer vent problems. Longer drying times are an indication that airflow in your dryer vent is constricted. Inadequate airflow can be the result of a clog or obstruction in your dryer vent system. Excess dryer lint is a major fire hazard, it can cause your dryer to become damaged and reduces the efficiency of your dryer. It’s usually the vent not your dryer. An accumulation of excess lint behind your dryer can be the result of a clogged dryer vent. Since a clogged vent restricts airflow so that the air cannot move the lint to the outside of your home, it forces the lint into the area behind your dryer. Dryer repeatedly stops, turns off during a cycle. If your dryer stops repeatedly during a normal drying cycle, it is typically due to the dryer overheating. A dryer vent clogged with lint or other obstructions will force the dryer to work harder, causing the unit to overheat. The overheat shutoff is the dryer’s last attempt to prevent a fire. There is excess lint left on your clothing. Excess lint on clothing after a dry cycle is a sign of accumulation of lint in your dryer vent. A dryer vent clogged with lint is a fire hazard and an energy hog. The cause for this problem could be poor ventilation caused by a dryer vent clogged with lint, a bad vent connection, or a dryer vent joint that is not secure. These problems are not only a fire hazard, but also the overheating can damage the clothing as well as the dryer. Clothes have a moldy smell after dry cycle. When a dryer vent is clogged, the humidity removed from your wet clothes cannot exhaust through the vent so it back is out in the and collects in the duct creating the perfect growing conditions for mold and mildew. If you notice a moldy smell in your laundry room, have your dryer vent inspected immediately. Water stains in the wall near the dryer appliance. If the dryer duct runs behind the wall where you see water marks, it could be a clogged duct and condensation is leaking through the duct connections. Dryer is getting warm or hot to the touch, the problem is NOT your clothes dryer. Clothes are hot but still damp after one cycle. From dryer vent cleaning to inspections, and repairs to new vents – we are the certified experts that do it all! Airwiz is a licensed, insured and Certified Dryer Exhaust expert company (CSIA – C-DET) and will come to your home or business to clean out your dryer vent and fix any problems. Including small or major repairs, we can even rebuild entire dryer vents up to code. Feel free to call 301-871-2250 with any questions.